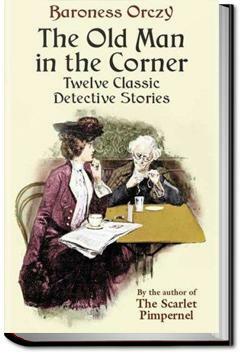 A collection of mystery short-stories written by Baroness Emmuska Orczy. I would say that she is not a master writter of this genre of book, I still prefer the Scarlet Pimpirnel series. These were enjoyable mystery stories, with the familiar feel of the classic era they were written in, but not likely to become favorites. I would probably recommend this to Sherlock Holmes fans who aren't ready to re-read yet and need a filler book in the mean time. Some baronesses just have better writing skills than others. 3 1/2 stars, somewhat good, somewhat dull and somewhat slow.